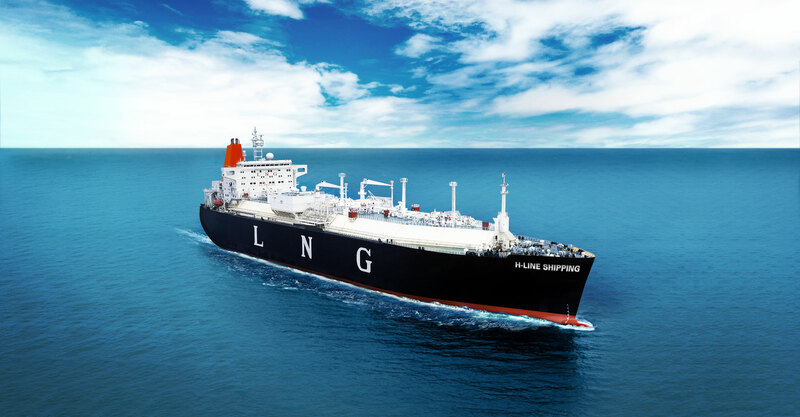 For H-Line Shipping Co., a leading shipping company operating 50 bulkers and LNG vessels globally, having an advanced voyage optimization tool is essential to planning and executing the safest, most fuel-efficient voyage. As a leading Korean shipping company, H-Line has provided marine transportation services for more than 40 years. In 2014, the company started a new chapter — transporting raw materials such as iron ore, coal and liquefied natural gas (LNG) across the world, operating both bulk carriers and LNG vessels. Operating these industrial carriers at a global scale requires global weather and ocean current forecasts to be able to plan and determine the safest and most efficient routes for their fleet. Primary routes include Australia, Brazil, Canada and South-East Asia, as well as importing LNG supplies from Indonesia, Oman, and Qatar. As well as needing access to the latest weather and ocean data, H-Line also needed to be able to track the position of their ships in order to provide shore-based decision support. H-Line needed advanced weather forecasting that could enable the ship captain to make tactical, data-driven decisions on-the-go. They were looking for a user-friendly system onboard that would give the captain the latest weather and ocean data in real-time, facilitating route optimization as well as safety. Furthermore, H-Line Shipping had previously received weather information from other service providers, but none of these could provide the vessel’s actual position. Along with access to the weather forecast, the company wanted to be able to track the latest position of their vessels in order to enhance onshore fleet management. StormGeo's onboard Bon Voyage System (BVS) supplies around-the-clock weather routing information directly to the ship, supporting the captain in planning the optimal route. In real-time, BVS delivers the latest weather and ocean data to the ship via broadband, email or KVH IP-MobileCast in a highly compressed format to minimize communication costs. The data is used to generate color-enhanced maps and graphics that allow the ship’s captain to identify potential concerns ahead of time. “BVS has excellent graphics and is user-friendly compared to other systems,” said Capt. Lee Jong Hyeok, Ship Captain at H-Line Shipping Co., Ltd. “Also, captains can download weather data any time they want,” he added. This enables captains to optimize a voyage on-the-go based on current specific weather constraints. “The best advantage of using BVS is the weather forecast coming together with our vessel’s noon position. Previously, we received weather charts from various service providers, however they did not reflect the vessel’s actual position. StormGeo gives us an extremely reliable weather forecast that reflects our latest position.” With BVS, H-Line can now track their vessels as well as the weather, helping them to provide shore-based decision support. Using BVS, captains can calculate the shortest time, fuel or cost of a route, enabling H-Line to accurately calculate ETA and determine the safest, most fuel-efficient voyage. “BVS is the most reliable program providing the weather forecast, together with the vessel’s actual position and route recommendations,” Capt. Lee concluded.